As weather transitions from winter to spring, gray skies to blue, a primordial force within you begins to stir. Like a bear waking out of hibernation, you take in your surroundings. The tiniest bit of sunlight refreshes. Sights and sounds give new life. 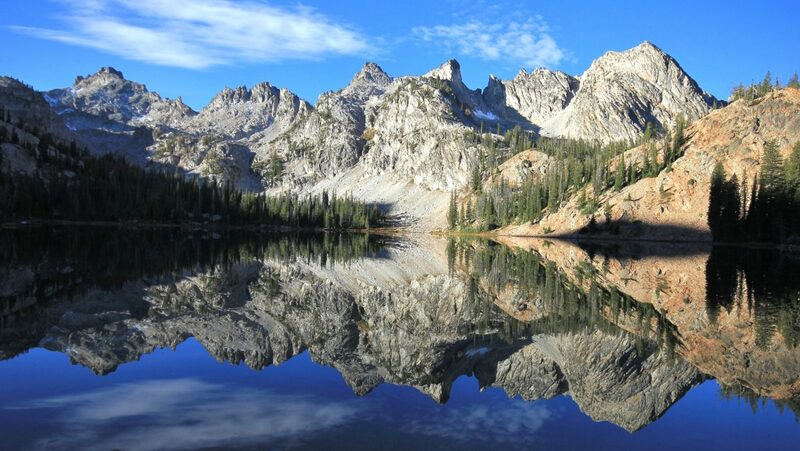 You remember what it is about hiking and the outdoors that drives your spirit. The trail to Towell Falls is not exciting, but satisfying none the less. 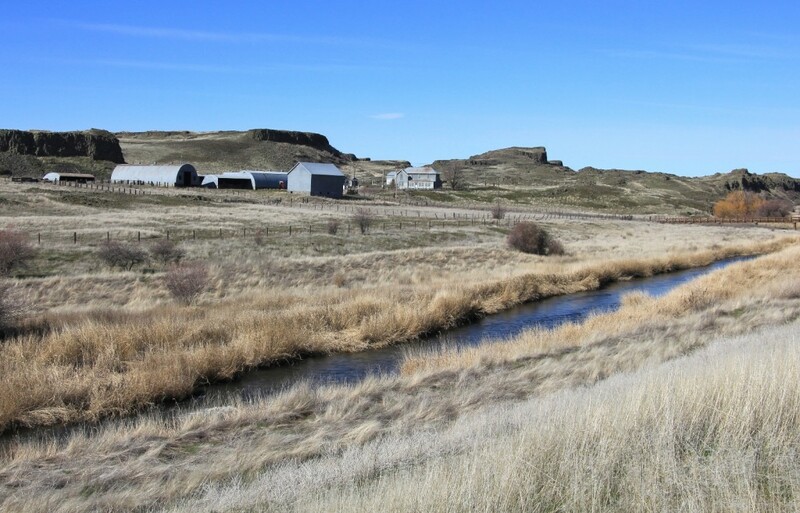 Following an old road through Washington scabland, it begins with views of the creek, surrounding buttes, and historic Escure Ranch. 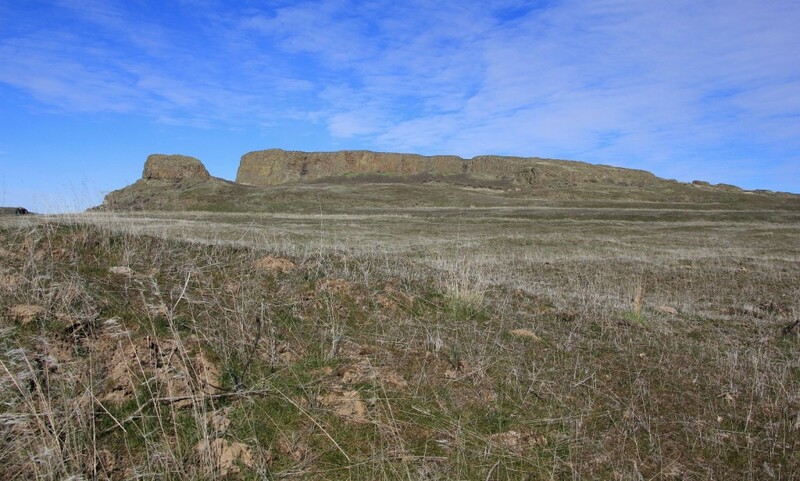 Surrounding buttes provide character; their green walls contrast with the dry Palouse landscape. 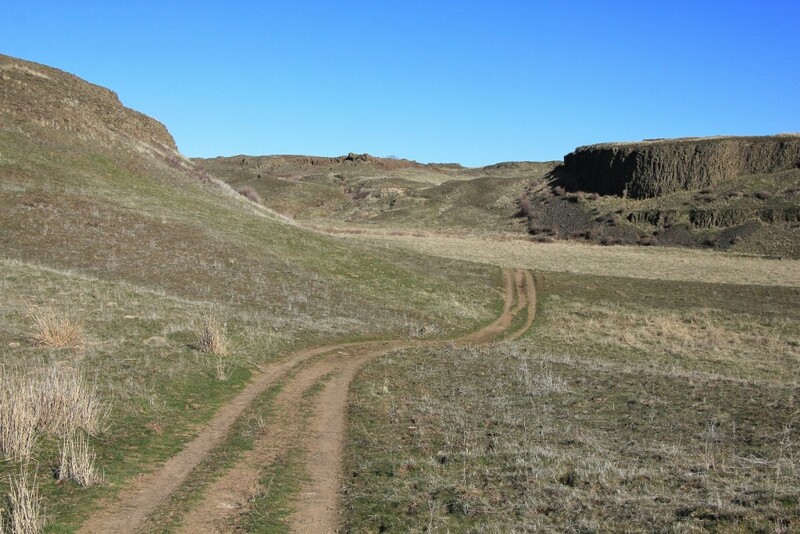 There is a climb through one stretch of the trail, but otherwise is flat and easy. As we neared the falls we were approached by three women in their fifties who asked if the trail was “really only three miles long”? The GPS indicated it was a bit over. Other than cameras they had no other supplies with them—not even a bottle of water. The falls were more impressive than expected. 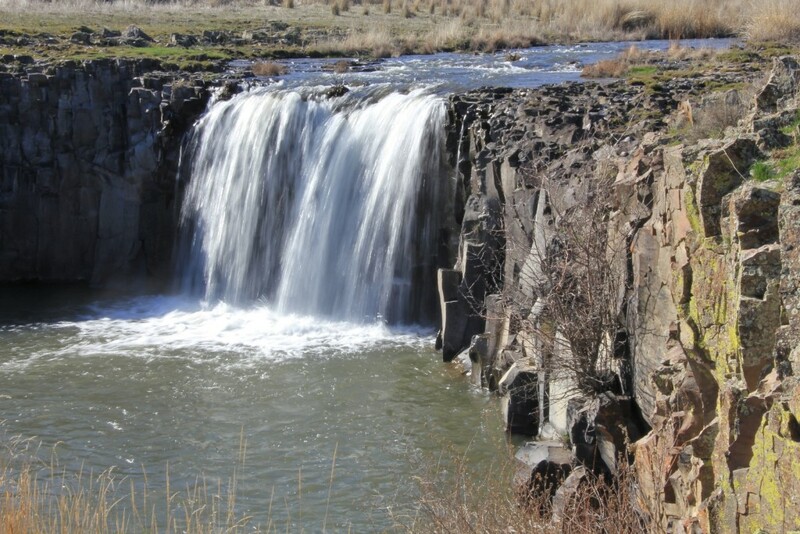 There are three falls, but we were only able to access two. I suspect later in the season the area looks quite different; this could be an interesting fall hike. 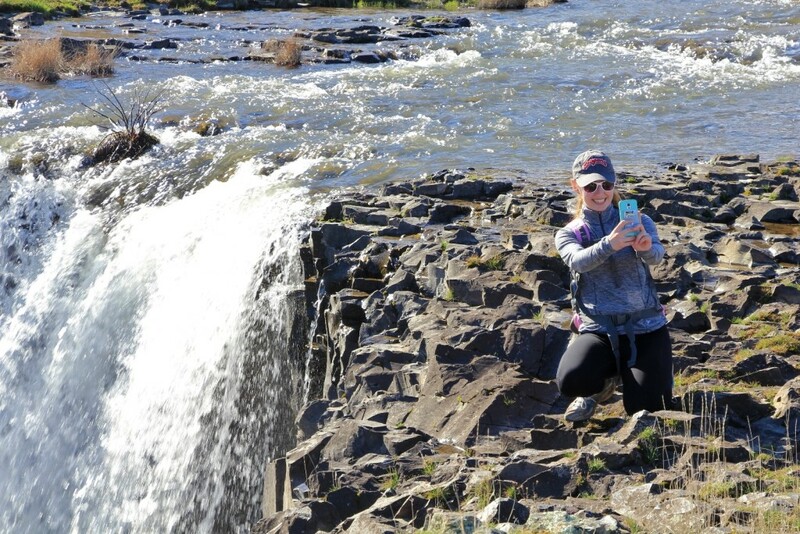 The angle of the sun prevented Lusha from getting a great shot of the falls, but she was able to get some nice memory shots including one her friend Michelle taking a selfie. 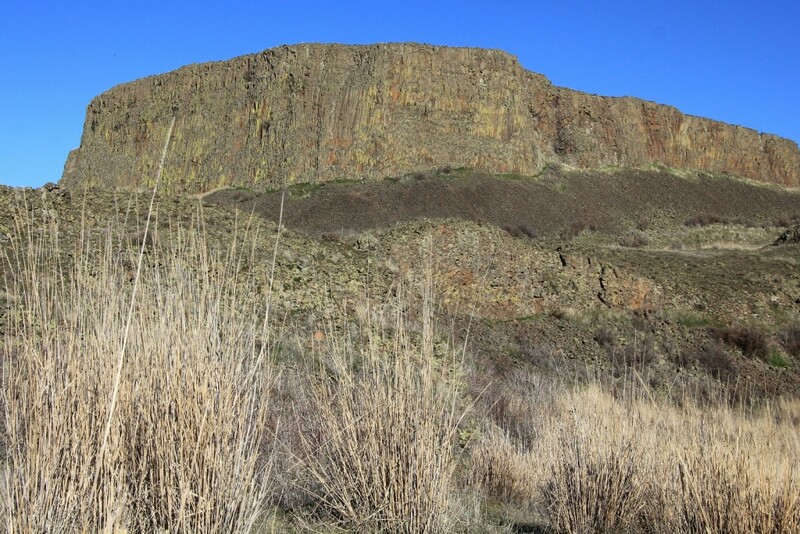 Directions to trailhead: From Sprague, Washington, travel south on Highway 23 12.2 miles to Davis Rd. Turn right onto Davis Rd. At 4 miles there is a “Y”, stay to the right continuing south for 3 miles to Jordan Knott Rd. Turn left onto Jordan Knott Rd. 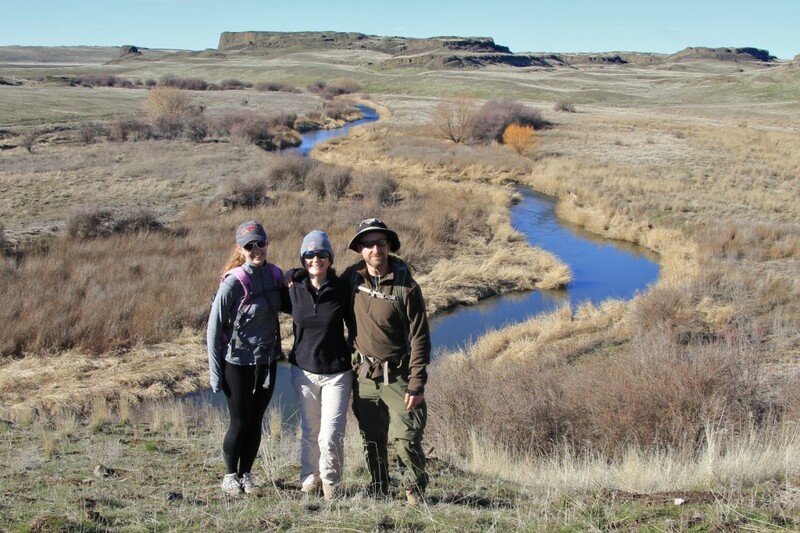 and travel for 2.1 miles to the Rock Creek Management Area (BLM). 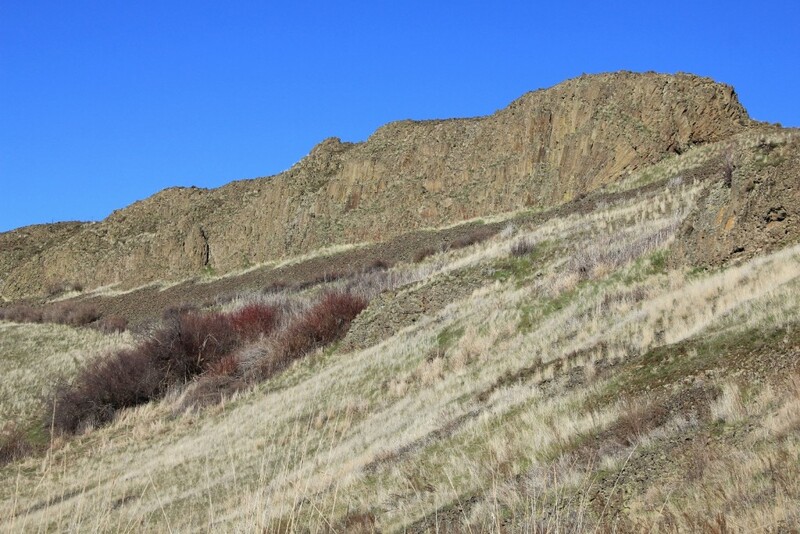 Follow the BLM access road until it ends, about 2.5 miles to the large parking area at Rock Creek and Escure Ranch. Pit toilets are available. Nicely written, Jason! I always enjoy Lusha’ s photos but now I will look forward to reading your “view” too. Thanks Debbie. I plan on being more verbose on future posts. I figured this was a nice little starter hike to kick start my writing with. You’ll continue to see plenty of Lusha’s views. We plan on tag teaming the write-ups to get more content up on the site. Beautiful pictures and synopsis writings. You make me feel that I am there! Terrific! The photos are stunning beautiful. Thank you Jason for giving me this link. I really enjoy it and would like to see more. Thanks for the complement Tom. This is one of the three posts I did the write-up for; Lusha did the other 67. As you know Lusha is the brains behind this operation and most other operations in our household.